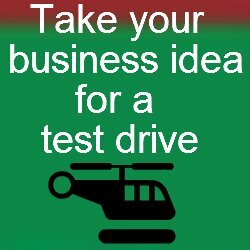 Sports business ideas can be very rewarding if you make proper strategies and know your specific target niche. Every sport has a unique offering and all you need to do is think creatively and come up with an idea on how to make money from that particular sport. Offering sports news online or through a magazine.This is one of the most appealing sporting business ideas and many people are building blogs and websites to offer breaking news on a particular sport. All you need is to identify a particular niche that does not have stiff competiton. Selling sports photos. Can be done both online and offline. The most appealing offline photos are wallpapers. Selling sports t-shirts to fans. Selling sports equipments/ sports equipments store. Start an online sports store. Run your own sport club. Selling sports uniforms to schools. Start a sport bar where fans can come and watch the game. Here is a list of the most popular sports each of which we will look at different business ideas you could come up with on a later date. I will keep updating this list with new profitable ideas and I urge you to keep visiting for more ideas or subscribe to my blog for daily updates of this website.